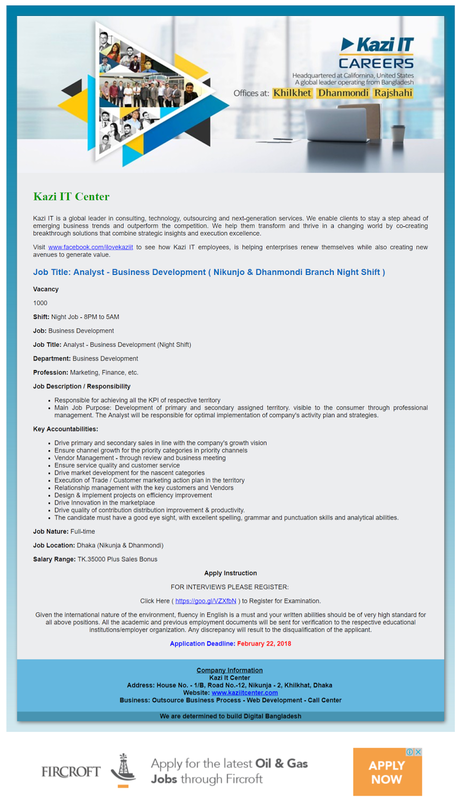 Famous global consulting, technology and outsourcing company Kazi IT has published a new job circular on its website and Facebook Page for the post Analyst - Business Development (Night Shift) under the department 'Business Development'. Job time: Night Job, 8PM to 5AM. It is a full time job and job location is in Dhaka. The salary is 35 thousands (35,000) per month. Last date for Kazi IT Job application is 22 February, 2018.